Cambridge, UK – New research published in the Journal of Analytical Toxicology shows how fingerprint-based drug screening can not only screen for the presence, or absence, of four classes of drugs of abuse, but that the technology also works when used by UK coroners to detect drugs in the sweat of fingerprint samples gathered from deceased individuals. 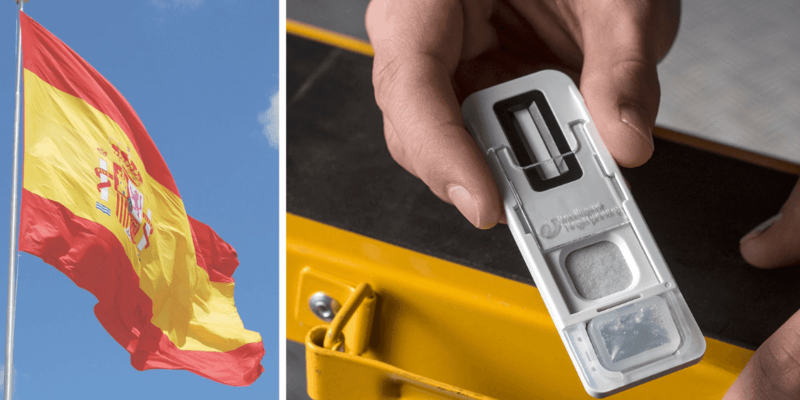 The Intelligent Fingerprinting Drug Screening System enables the detection of four drug classes (amphetamines, cannabis, cocaine and opiates) from a single fingerprint sample in just ten minutes. Its use in coroner mortuaries demonstrates the value of the revolutionary system that is also being used in drug rehabilitation centres, workplaces and schools. Studies are also underway for its use in airport screening and for offender management applications within prisons and probation services. 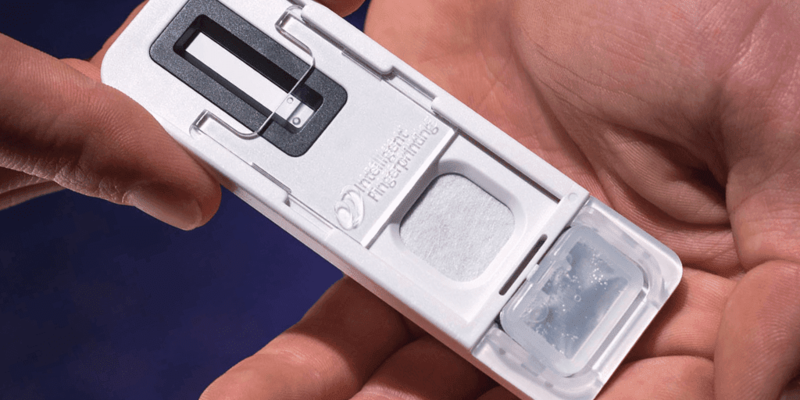 “This new research highlights how our lateral flow drug screening cartridge can screen rapidly for drug use in individuals using a fingerprint sample with a sample collection time of only five seconds, and a total analysis time of ten minutes,” said David Russell, Emeritus Professor at the University of East Anglia, UK, a co-author of the research and Intelligent Fingerprinting’s Founder and Chief Scientific Officer. “Our study also showed how our technology is being used by coroners to assist in gaining early understanding of the possible cause of death, and to inform potential further post-mortem activities or quickly facilitate police investigations. Intelligent Fingerprinting’s portable Drug Screening System works by analysing the sweat from a fingerprint sample. 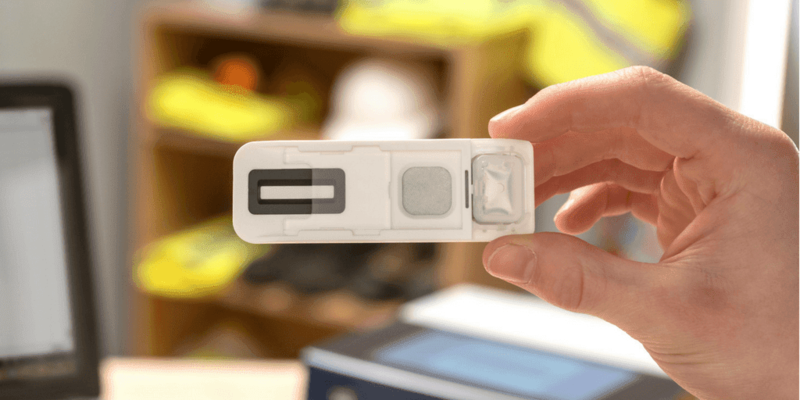 It is non-invasive, fast and cost-effective – screening for multiple drug groups simultaneously (currently amphetamines, cannabis, cocaine and opiates) with sample collection taking 5 seconds and results in minutes. A laboratory confirmation service is also available.